If you make it to the job interview stage of an application process, the prospect of a new job is very much in sight. Make a good impression and you are likely to get the opportunity you want. But imagine you get to the interview and, despite being highly qualified and motivated, you end up not getting the job offer. In spite of your best efforts to made a good impression, the chances are you made one of these four common errors: a failure of perspective taking, narcissism, hubris and humble bragging. My research suggests that these are four of the main reasons why people fail to make a good impression in high-stakes situations – which is when it really matters. To avoid the four common errors when trying to make a positive impression, let’s consider them one by one to understand why they are unsuccessful. First, failed perspective taking can lead interviewees to mispredict the interviewer’s reactions. For example, it’s common to mention one’s successes in a job interview, and there’s of course nothing wrong with doing that. But interviewees might underestimate the importance of how they talk about their success. My research shows that people tend to explain their success by emphasising their own talent and abilities, because they think that interviewers will deem them competent when doing so. In these cases, interviewees err because they fail to put themselves in the shoes of the interviewer. When adopting the interviewer’s perspective, it becomes clear that interviewers not only care about hiring a competent employee, but also about having a likeable employee. To ensure appearing likeable – as well as competent – interviewees should adopt a different strategy. Instead of talking about their talent and ability, they should focus instead on mentioning the hard work and effort that caused the success. The interviewer will then feel that the interviewee is not only competent but also relatable and likeable, which will increase the chances of getting hired. When hearing the word “narcissist”, one might think of people who are extremely vain and self-possessed. But actually all of us can have a little bit of that trait in us. Narcissism can manifest in a sense of superiority toward interviewers, leading to arrogant and off-putting behaviour. It is therefore important to suppress the tiny narcissist inside all of us when in a job interview. Keep in mind that the interviewer is looking for a confident employee, not for someone who believes they are superior to everyone else, including the interviewer. Interviewees can hurt their chances of nailing an interview by showing hubris. This often comes out in comparing oneself to others in a favourable way. For example, an interviewee might say that they were the best sales manager in their previous job or better at something than their former colleagues. Even if that claim is true and conveys competence, it would probably diminish the chances of getting the job. This happens because when interviewees explicitly compare themselves to others, the interviewer might feel personally attacked by fearing that the interviewee also compares themself to the interviewer. Such a fear would undermine the interviewer’s desire to hire the interviewee. But this strategy backfires. The interviewer can usually see through this tactic. Not only does the interviewee seem conceited for the bragging, but they also seem dishonest for the attempt to disguise the bragging. Therefore, this strategy is very unlikely to be successful. Taken together, as an interviewee you should remember that it’s important to not only impress the interviewer but also to establish a relationship with them. To achieve this, it’s helpful to a) look at yourself from the interviewer’s eyes and remember they are looking for a likeable employee, b) avoid seeming superior, c) avoid comparisons to others, and d) be sincere about your strengths and weaknesses. 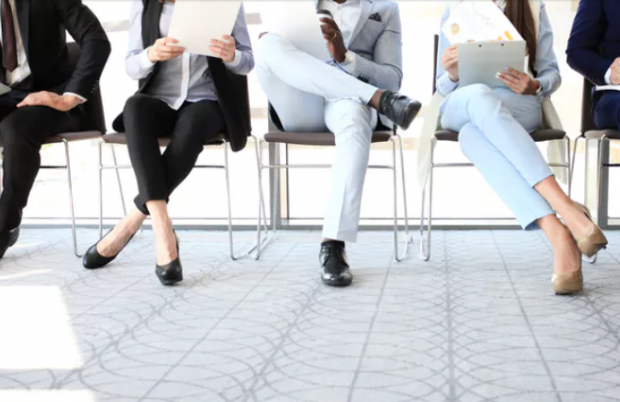 By sidestepping these common traps when trying to make a good impression, the next interviewer should have no trouble seeing you as the competent, motivated, and likeable potential employee that you are.